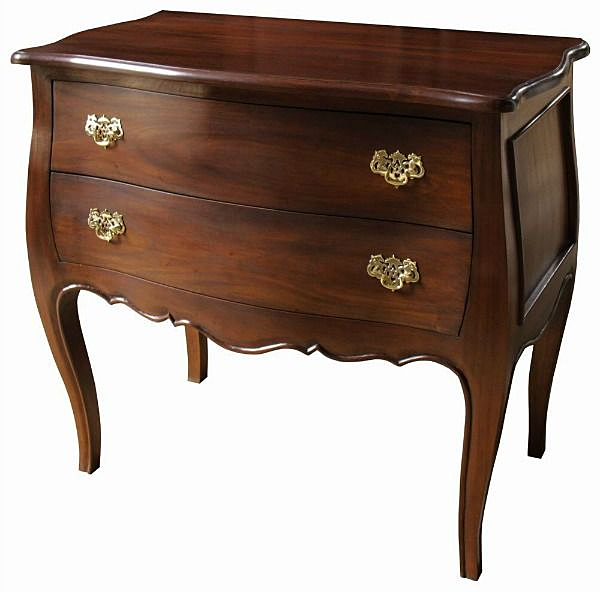 This two drawer bombe chest with a curved front and panelled sides has brass drop handles and is made of mahogany. Like all of our mahogany furniture is has been made in the traditional way by skilled craftsman using dovetail joints. 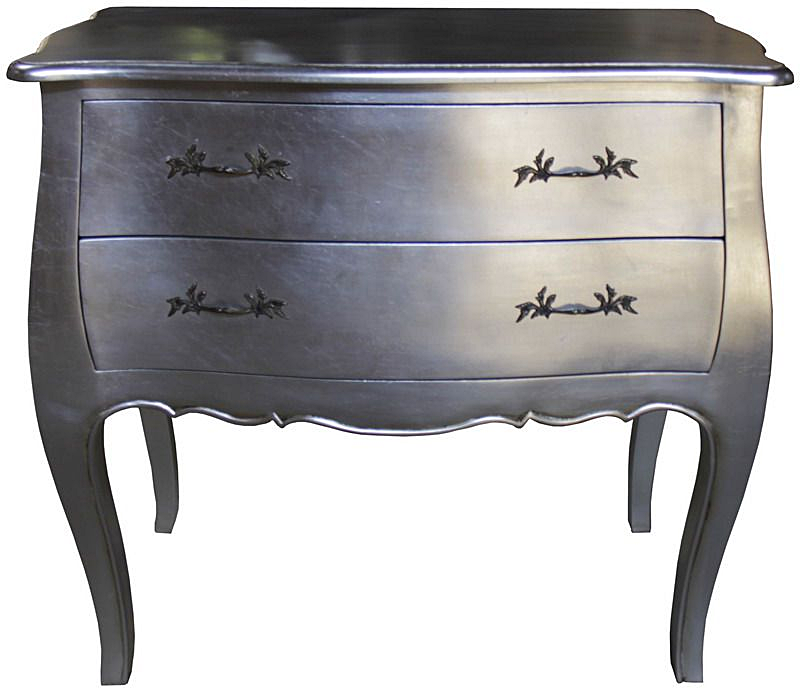 It makes an ideal storage chest for any room and perfectly complements many of our pieces of furniture. 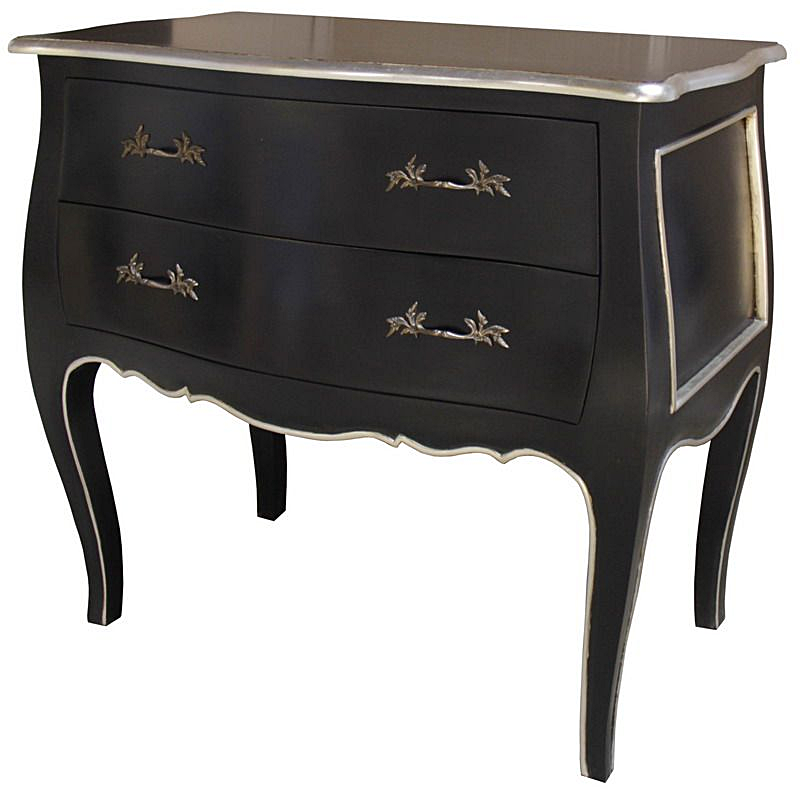 The price shown is for a painted finish - antique white, noir black, cream etc. Colour/Finish: Polished Mahogany, Antique White, Antique Silver or other finishes to order.